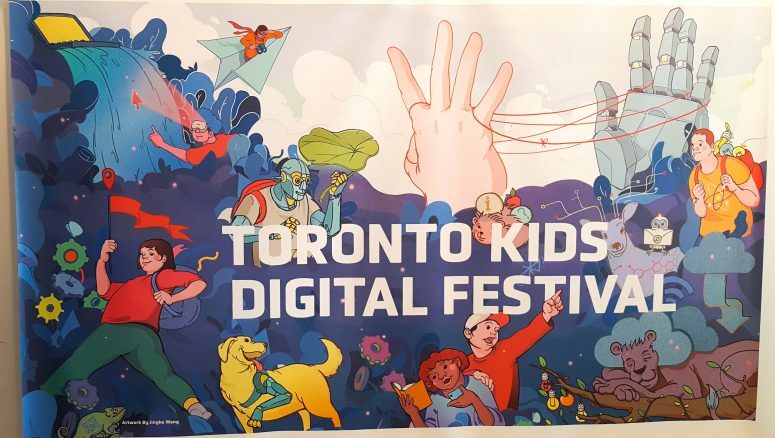 Last week, one of the Emergent Media Center’s (EMC) projects was shown at the Toronto Kids Digital Festival! This is a new festival devoted to inspiring creativity in people of all ages. 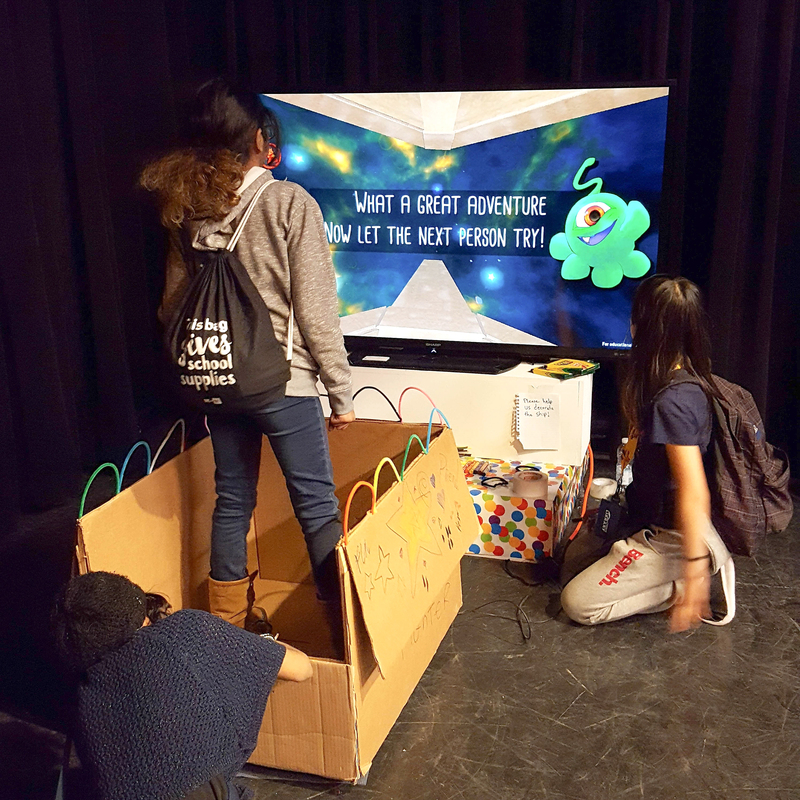 It features interactive installations, games, and workshops created by international artists, and focuses on displaying work that creatively integrates cutting-edge research and technology with kid-friendly art and design. The festival hopes to open minds up to the limitless possibilities of the future while introducing them to the important skills needed to create things in a digital world. The EMC showcased Spacebox at the event. 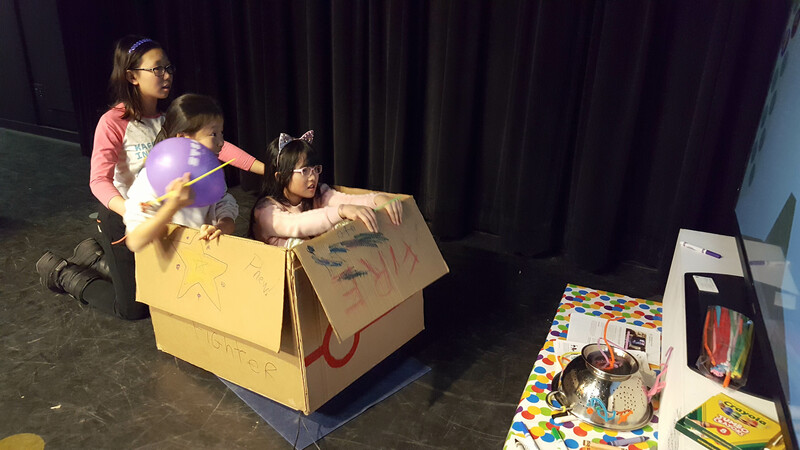 Designed by a team of students in 2017, the Spacebox turns an ordinary cardboard box into space shuttle that a passenger controls by shifting their body to dodge asteroids and blast away enemy ships. It brings childlike make-believe to life using alternative controllers and interactions, creating a full-body immersive experience. Spacebox was created using Unity and Arduino development platforms and is a model of how designers can unite technological tools with a creative vision to produce something beyond the ordinary. The EMC was thrilled to be a part of this new event, alongside countless other fascinating projects and inventive creators. It was also a great opportunity to see Spacebox in action, and the team was able to take notes on ways it could be improved and revitalized. Dylan is hoping to have the opportunity to continue working on the project in the future.